How Does Social Media Impact SEO? When it comes to attracting people to your website and engaging with your business online SEO ruled supreme. It wasn’t the only thing you had to think about but it was one of the main factors involved when it came to creating your site and building future content. However, that changed when social media really started to boom in popularity, despite what many people think social media didn’t arrive with Facebook or the now often forgotten My Space. Social media actually began in the late 90’s and some could even argue that YouTube was the first social media site after its launch in 2005. But it can’t be denied that it’s the social media sites you see today like Facebook, Twitter, and Instagram to name just a few that have impacted SEO the most. Now SEO is still very important but the rise of social media has changed the way you use it. There’s fierce debate over whether SEO has been replaced by social media and while there are convincing arguments for both sides I think it’s unlikely that SEO will be going away anytime soon. Social media (as we know it now) is still relatively new and SEO as a long history when it comes to creating content. We recently had a chat with RFK Solutions who are one of the best SEO companies in Scotland. here is what they had to say…. Will Social Media Links Improve My Rankings? This is a question that is often asked, at the moment, social media sites don’t have a direct effect on search engine rankings , although that could all change in the future. Despite this social media is still a great way to get your content seen by people and it can improve the visibility of your website in many ways which could result in the content you share generating links. Rather than picking one or the other businesses today should utilise both social media and SEO because they complement each other in many ways. Social media has raised a few challenges for SEO but it’s also given SEO a variety of new opportunities, when they’re used together correctly they can benefit your business in a number of ways. So how does social media help SEO? It’s not in the way many people think because as I mentioned earlier social media followers, likes or hits don’t affect your search rankings. But it can do a lot to improve your businesses presence and can also help drive traffic to your site, with this in mind let’s take a look at some of the main ways social media and SEO can help each other. Building your brand is very easy with social media, it can take time but all the tools are there for you to showcase your products and services in new and exciting ways that will appeal to your target audience. Now while this might get you a lot of interest from customers you might be thinking it won’t help with my SEO ranking, will it? While it might not boost your SEO ranking in the traditional sense the people who see your brand on social media will likely turn to Google or other search engines in the future to get to your site. Links are a valuable part of SEO and social media is a great way to spread links and they can easily turn into hits on your website. There’s also strong potential for backlinks and if you build high-quality content it can easily get thousands of hits on social media websites. Every click on a link will, therefore, be a new visitor to your website, which will be sure to boost your SEO ranking. Social media is a powerful tool when it comes to user engagement, reviews, and testimonials from past customers can be shared through social media and they can even be turned into new content as part of your SEO strategy. And once potential customers see that you engage with customers frequently they are more likely to want to use your services. By doing this you also increase awareness of your brand and can grow your audience all at the same time. And that’s just some of the main ways social media can benefit SEO, it gives you a variety of tools that will help you increase your audience and increase your ranking. It might not affect your ranking in the traditional sense but it will still have a big impact on it. Social media also gives you a way to try out new types of content to see which attracts your customer’s attention the most. Building a successful SEO strategy without social media is still possible, even in this increasingly digital landscape, but it’s much harder and not recommended. Social media has changed the way you can use SEO and gives you a much richer assortment of tools to use. A keen understanding of the differences between each social media platform and the fundamentals of SEO are required in order to get the best results for your efforts. But with some time and practice, you can use SEO and social media to build a powerful and high-ranking online presence. With retargeting the ads people receive on Facebook are linked to websites and products they’ve previously expressed an interest in by way of their browsing history. So if someone spends some time perusing your Persian carpet website the next time they log into Facebook there will be an add there for your site and product. This is a big step forward in Internet marketing because previously when someone navigated away from your site you had no way to catch up to them afterward and say “Hi! Remember me?” They were simply lost. Sure, you could try and corral another few seconds of interest out of them by using one of those extremely annoying “Before you leave” popups. But besides annoying your visitors those don’t really do much. It’s really pretty easy. 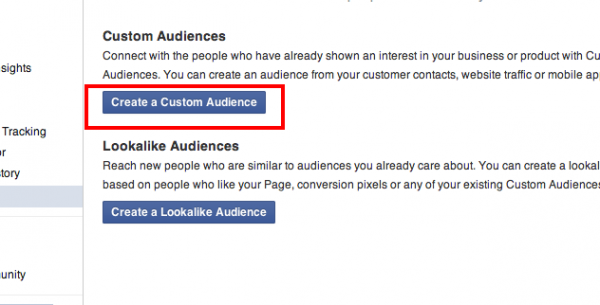 After logging into Facebook navigate to their Custom Audience feature. There you’ll find a tiny piece of code that you grab and install on your own website. This code snippet then delivers a cookie to the computer of anyone that visits your site. This cookie then communicates with Facebook informing them this person visited your site. Not only that but it can tell Facebook exactly what pages within your site they visited. So if, for instance, the visitor, who is a local small business owner spent time viewing your website following a search on Google. The next time they log into Facebook they can be fed ads from your company promoting your support services based on the pages they have looked at on your website. The big deal is this. In the past in order to continue engagement with visitors to your site they had to be convinced to provide you with a useful piece of contact information, most typically an email address. But most people simply won’t do that unless they’re actually purchasing something. As such the vast majority of potential customers were lost to cyberspace the minute they navigated away from your site. With retargeting, you take the initiative by delivering that cookie to their device (whether it’s a PC or mobile device). Then the next time they’re on Facebook they’re reminded of your company as well as the specific products they displayed an interest in. You can also set your Custom Audience preferences to target only those who showed more than a passing interest in your product; such as those that initiated the shopping cart but never completed the transaction. Can I Abandon my SEO Campaign if I Use Facebook Retargeting? We would strongly argue against doing so we’ll tell you why. The SEO campaign is designed to raise your website’s visibility and drive traffic. It’s essential because if your website currently appears on page 17 of Google’s organic search results no one, and we mean no one, will ever know your website even exists. You need to be at or near the top of search engine results, at the very least on page 1. The job of the SEO campaign is to get you seen for the most popular keywords people are searching for within your industry. Once you’re on page 1 and traffic is flowing to your site it’s up to you to make the sale or capture enough information to continue to engage those potential customers. As we said earlier, in the past that typically meant finding some way to get the visitor to provide you with an email address. With retargeting you no longer need that. The retargeting cookie you leave on their browsing device communicates with Facebook so that next time they log in they’ll see an ad for your site and be reminded of the products they showed an interest in. So, the SEO campaign drives traffic to your site and Facebook retargeting makes sure they’re not lost to you should they navigate away from the site. 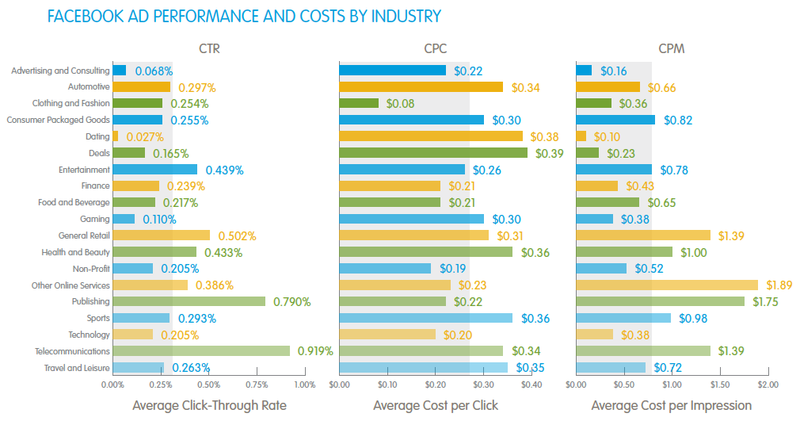 How Much Does Facebook Charge for Retargeting? The code and the service itself is free. Yup. No charge. What you will need to do is purchase Facebook advertising which works on either a CPM or CPC model, which you should be doing already given that Facebook now has 2 BILLION monthly users. Retargeting will provide you with a much more robust ROI on those Facebook ads because they’ll only go to people who’ve already shown an interest in your product or service. Retargeting is one of the best ways yet devised to squeeze significantly greater ROI out of your marketing budget because you are, in effect, preaching to the converted. You’re reminding people who’ve already shown an interest in your product or service that you’re still here. Such people are far more likely to ultimately convert than random Facebook users seeing your ad for the first time. Do I Have to Hire an Marketing to Set Up Retargeting? One of the many great things about Facebook retargeting is that anyone with any type of comfort level with computers can set up an effective Facebook retargeting campaign in just minutes. That means you too. What you’ll want to do however is bring the marketing department in on the process as well as any other agencies you may be working with to ensure everyone’s on the same page. Your internal teams and agency partners will likely have some useful suggestions about who to focus the retargeting effort on and the marketing department may want to tweak your ads or create additional ones to ensure that the ad campaign dovetails with the choices you make when setting up your Custom Audience. Facebook is the undiscovered country of marketing: a vast resource of potential consumers waiting to be effectively tapped. If you’re already advertising on Facebook congratulations, you’re in the vanguard of companies who’ve recognized the social media giant’s potential. Now’s the time however to take your Facebook marketing efforts to the next level by bringing retargeting into the fold. By doing so you’ll be ensuring those who have already shown an interest in your product or service are not lost to the void simply because they navigate away from your site. The next time they log into Facebook they’ll see your ad reminding them of your great product or service and prompting them ever-so-gently to take the final step and make the purchase. Instagram Stories is a new feature of the platform which is essentially live broadcasting of content from a user’s mobile device that is only available for 24 hours after posting, after which it disappears forever. The feature only works on newer versions of the app (10.0 and higher). With Instagram being one of the largest social media platforms (more than 600 million active users), this new feature is set to take the world of social media marketing by storm. You could quite easily think that Instagram Stories will be competing with Snapchat and Facebook Live, and although it has similar basic features, it is somewhat different, especially in that the Instagram platform is excellent for brands, making it very easy for users to find and follow them. While streaming, you’ll be able to see any comments or likes coming in – a great way to measure engagement, as it’s not always easy to measure, considering the video disappears after 24 hours and there is no way to look back in order to analyse, but you will still be able to use some of the various Instagram analytics tools. Instagram Stories also provides a means of engagement with your followers and potential customers, offering the ability to use a more comprehensive message than what a single photo can provide. They can also be personalised with special filters and drawings, for example. The very fact that Instagram Stories are uncommon at the moment, means that they have an element of popularity amongst users who are ready and waiting for fresh and unique content, delivered in a new and innovative way. Use this to your advantage and choose awesome offers to promote to your audience. Be careful not to just choose any old low-value offer, but rather something truly valuable, otherwise you risk having your posts ignored. The great thing about the 24 hour nature of Stories, is that it creates a sense of urgency and you’re more likely to convert leads to actual purchases. Remember to refer any viewers to a link in your bio which should lead them to a landing page to redeem the offer and make the purchase. It’s very important to include a strong call to action with each offer to drive more users to your site, so don’t forget this fundamental point! Consider giving your followers a behind the scenes glimpse into your business. One example is to shine a spotlight onto your staff, showing your audience the people working behind the scenes in your business (as well as your appreciation of them). It provides a relaxed view into what your business is all about behind the products or services you’re offering which can go a long way in building relationships and improving engagement. When doing Stories, ensure that they enhance the image of your brand, think the content through beforehand, even though you’ll be live streaming, just to check that it is going to be something you really think your audience is going to want to see. Consider your target audience too, or those Instagram users you would like to reach. Only users who are following you will be able to see your stories, however it is possible for potential users to find you by using the Stories on Explore function, allowing them to find new Stories based on those streams related to their feed – an excellent way to improve your reach to those users in your target audience. The more Stories you stream, the more possible it is that you will find yourself at the top of your followers’ feeds. However, it’s vital to strike a balance between to many and too few posts. You don’t want to annoy your audience and risk being unfollowed! Roughly 70% of users are engaging on a regular basis with the brands on Instagram. This could be increased amongst your followers if you “cut to the chase” and actually ask your followers what they would like to see on your feed. Use their feedback to direct your content schedule and produce the Stories that your audience will love and be a lot more likely to engage with. Instagram Stories offer just one more way of increasing your reach and presence within the network and making use of them will not only serve to deliver interesting and shareworthy content, it shows off your brand in a positive light, demonstrating that you’re on trend and dynamic! You may have heard of something called Facebook groups but feel there’s no need to spend time and energy on such a concept because you already have a Facebook page for your business. But Facebook pages and Facebook groups are two entirely different animals that serve different functions. Generally speaking business pages are for broad-based communication with fans, followers and other parties interested in who you are or what you’re selling. A business page can only be created by an official representative of the business (or celebrity or band etc) that the page represents. Groups on the other hand can be created by anyone and allow for much tighter control over who can belong to the group and who can interact with the group page. This helps build a sense of community within the group and when this community is built around a product or service you produce or provide that community can be an invaluable asset in building brand loyalty. Basically, with a Facebook group you’re creating a kind of fan club focused on celebrating your brand, spreading the word about your brand to others and actively recruiting new members. So Why Use Facebook Groups? While a Facebook business page can be a useful platform for keeping customers abreast of product developments and important events related to your brand (like Facebook Live Video events) overall engagement tends to be fairly limited. People learn when to tune into the Live Video event, get to leave a like on different posts and maybe drop a comment or two along the way. With groups, engagement is typically much more robust and passionate. Group members are people who’ve shown more than a passing interest in your brand. They want to know what’s going on with the brand and want to share their opinions directly with others who are equally passionate. These people are the best friends your brand ever had and they should be given a platform all their own to connect. Here are several ways to use Facebook groups to enhance your marketing efforts. Build a Community – When it comes to Facebook marketing – or marketing via any social media platform for that matter – it’s not about you. It’s about your fans, followers, group members and anyone else who engages with your brand. As such any Facebook group you start or sanction should focus on providing value for your devoted customers and followers and enable them to spread the word about your product or service in a way that helps you discreetly while feeding their desire for engaging, otherwise-hard-to find information on the brand. Keep abreast of Current Events in the Industry – You may spend a lot of time with your ear to the tracks trying to stay ahead of developments in your industry, but events in the business world today move at breakneck speed and you’re bound to miss something. Each member of your Facebook group however is another set of eyes and ears who can alert you whether knowingly or unknowingly about developments or events you may have missed. Someone may simply drop a few words into a comment about something they heard without giving it much thought. That tidbit of information may however, prove invaluable to you and the health of your brand going forward. In essence having a large group of dedicated fans out there is like having your own little CIA constantly gathering intelligence on the market and by extension the competition. Find out What Your Most Passionate Brand Advocates Want – Market research can be expensive but groups can help you mitigate market research costs. That’s because besides being able to reward customers and keep on top of industry rumblings Facebook groups dedicated to your product or service are also a free way to find out what your customers like and dislike and what they’d like to see in the future from your brand. If you like you can create surveys or questionnaires that you present to the group asking for their input. This lets them know their opinion is important and gives them a say in the development of the brand which strengthens brand loyalty. The Ties That Bind – Maybe you have a far flung enterprise with sales people in the field and several offices or outlets in various places around the globe. Keeping everyone on the same page in such cases can be a daunting task. But starting a Facebook group through which they can all stay in touch and up to date can go a long way toward strengthening your company culture and providing a sense of common purpose. There are a number of different ways to leverage Facebook to aid in your company’s success and the creation of groups is one of the best. While the results may not be as visibly spectacular as what you’ll see from Facebook retargeting they can be just as essential to your overall viability. By creating and fostering a community of brand enthusiasts through the creation of Facebook groups you’ll be laying the foundation for long term success. The fans you cultivate today will pass on the word to others who will pass on the word to others and your business will wind up far less susceptible to market fluctuations or economic downturns than it would have been otherwise. Want to connect with your target audience more effectively? Wondering how you can deliver content that is relevant to your target and niche? In this article, we will discuss how you can create an effective content plan for your business. Here are 5 steps on how to create content for social media marketing. Whether you have years of experience in your business or simply just begun, it is important to define your target audience. While many say it is easy to define your target customer just through age, gender, etc. – a successful match is beyond that. The key is to give your clients an experience that they never knew they needed before. Consider the needs of your target audience. To better understand them, you must analyze their unique needs and lifestyle. You can build trust by answering their questions with valuable content in the form of content, infographics, and webinars. First, you must build a strong community with clients who have used your product or service in the past. You can use this forum to help you measure the number of members, live videos they engage with, daily posts, and questions they ask. Then you must analyze measures of engagement and take a closer look at the members who frequently reach out through all means of communication on your marketing page. Targeting every form of social media will not provide quality results. You will need to do your research and determine which platform is right for your target audience. Once you have narrowed down the make focus of the social network, plan your content accordingly. You will need to create specific content that is unique and relevant to your page. Your main goal is to create content that has the power to become a viral online sensation. Do you have a social media content plan? What other tips can you offer for creating effective content? Comment below and share your thoughts with us! Do you share images for social media marketing? Are you using these images legally? In this article, we will teach you what you need to know about copyright protection and how to protect yourself. Here are 5 legal ways to using images on your social media marketing strategy. Copyright is a fixed form to give the own protection. This means copyright covers a variety of niches such as performing arts, literary works, visual arts, digital content, motion pictures, and photographs. Is it okay to repost an image? Is it okay to repin images on Pinterest? It is important to understand that all social media platforms have different rules and regulations to protect themselves. To learn what is acceptable, read their Terms of Services. If you plan to use stock images, you have the choice of choosing what license to use for the image itself. The more expensive the license is, the more you can do with the image. If you are not sure whether you are allowed to use an image or not; go ahead and ask the owner. Most owners will be happy to give you permission as long as you provide them with credit. Did you know reposting on Instagram is actually a violation of terms? However, 99% of users are okay with it as long as it links back to their profiles. Fair Use was created to allow certain images and content as long as it is within the author’s rights. This is also applied to comment, criticism, or any parody. You must determine the use what the character and purpose are for and the effect on the value or market of the work. How do you handle copyright issues? Have you tried these tips to ensure that your images are used legally? Comment below and let us know!